CarGurus has 8,237 nationwide 200 listings starting at $2,990. Introduced in 2011 as a restyled, re-badged, and re-engineered version of the old Sebring, the Chrysler 200 sedan was revamped again in 2015 and is based on the current Fiat Compact platform, which is shared by cars like the Dodge Dart, Jeep Cherokee, Chrysler Pacifica, and even the Alfa Romeo Giulietta. While it's well-styled and has an impressive list of features, the 200 goes up against pretty stiff and established competition in the midsize class, like the Toyota Camry, Honda Accord, Mazda6, Chevrolet Malibu, and Ford Fusion. 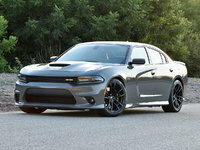 Apparently, the Chrysler just hasn’t been up to the task sales-wise and is being discontinued. But though 2017 may be the last year for the model, there are a few notable updates, including a new Dark Appearance package for the Touring trim, which comes with 18-inch gloss black wheels, halogen headlights, and gloss black trim for the exterior. The base LX starts at $22,610, while a range-topping C Platinum will start at $31,785. The 2017 Chrysler 200 is available in either front- or all-wheel drive (FWD or AWD). The base engine in the 200 is a 2.4-liter naturally aspirated 4-cylinder that makes 184 hp and 173 lb-ft of torque and is mated to a 9-speed gearbox that doesn’t come with a manual mode. This engine is the same unit used in the Dodge Dart and Jeep Cherokee and Renegade. Upper trims, meanwhile, get a 3.6-liter V6 with 295 hp and 262 lb-ft of torque, which is considerably more grunt. V6 cars also come with paddle shifters, which will give drivers extra control over the 9-speed (which hasn’t garnered much praise). In between trips to the pump, 4-cylinder 200s will achieve 23 mpg city/36 highway/27 combined, while V6 cars will get 19/31/23; opting for AWD will drop this to 18/28/22. The 200 is more about comfort than fun, but there is a sport mode selected via the rotary shift dial that gives more steering weight and sharpens powertrain responses. It’s worth noting that with the V6 engine and FWD, sending that much power to the front wheels only will result in torque steer, but most 200 owners won’t drive the car hard enough to experience that. The AWD system, meanwhile, sends up to 60% of the torque to the rear wheels. The suspension uses typical front and multilink rear struts and, resulting in bland but predictable handling characteristics. One bonus on the drivability front, however, comes with the 200S, which has heavy-duty brakes, a tighter suspension, and 18-inch wheels. On the inside, the Chrysler 200 comes standard with a USB port and auxiliary jack, LED ambient lighting, a rear-view camera, and a 21-volt outlet. The base LX, though, only has cloth upholstery and manual seats and lacks ducts to direct air to the back seats. Higher trims, however, add things like Uconnect infotainment, Bluetooth, an auto-dimming mirror, heated seats, dual-zone front climate control, and acoustic glass. While larger than its relative, the Dodge Dart, the Chrysler 200 has been criticized for its lack of space in the rear in comparison to the competition. The trunk, however, is a pretty good size, at 16 cubic feet, and the center console is both large and deep. 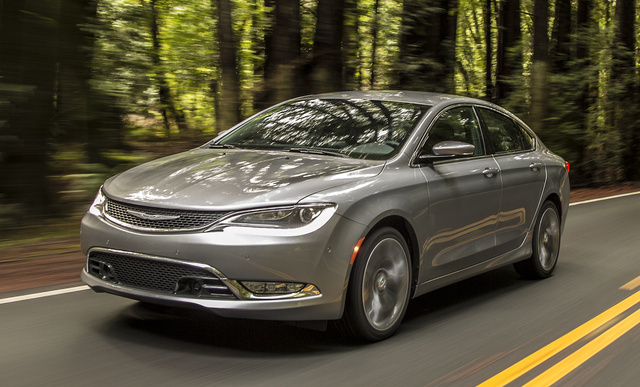 In Insurance Institute of Highway Safety testing, the current Chrysler 200 has gotten top “Good” ratings in all categories, enough to earn it Top Safety Pick+ status, and federal testing concluded with similar results. As for safety features, the 200 comes standard with front knee airbags, front side airbags, curtain side airbags, active front headrests, and a rear-view camera. The 200C can also be had with a SafetyTec package, which adds lane-departure warning, forward-collision warning with emergency braking, blind-spot monitors, lane-departure warning, adaptive cruise control, parallel and perpendicular park assist, automatic high beams, and rain-sensing wipers. Knowing that Chrysler is discontinuing the 200 soon may put people off from buying the 2017 model, but that could actually mean a good buying opportunity for astute shoppers. What's your take on the 2017 Chrysler 200? Users ranked 2017 Chrysler 200 against other cars which they drove/owned. Each ranking was based on 9 categories. Here is the summary of top rankings. Have you driven a 2017 Chrysler 200?